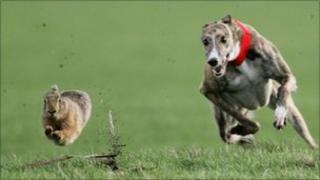 "Hare coursing events should not take place in a modern, progressive, civilised society. We all have a responsibility to protect our wildlife and certainly I want to do everything in my power to do that," he said. "While hare coursing events in Northern Ireland have been prevented for a number of years on a temporary basis, the ban I am introducing is a permanent one and a positive step forward."